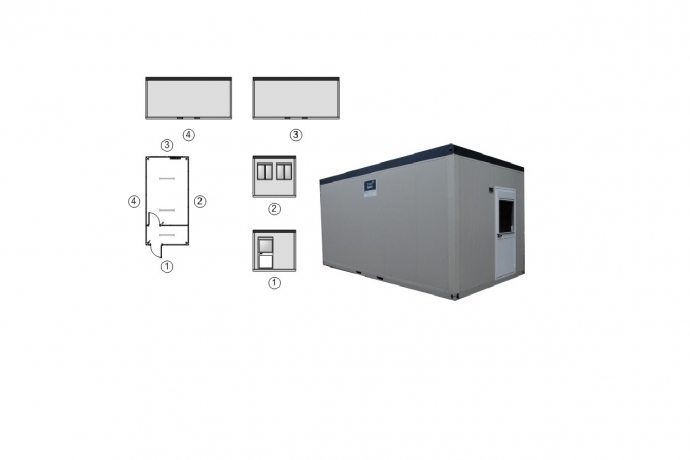 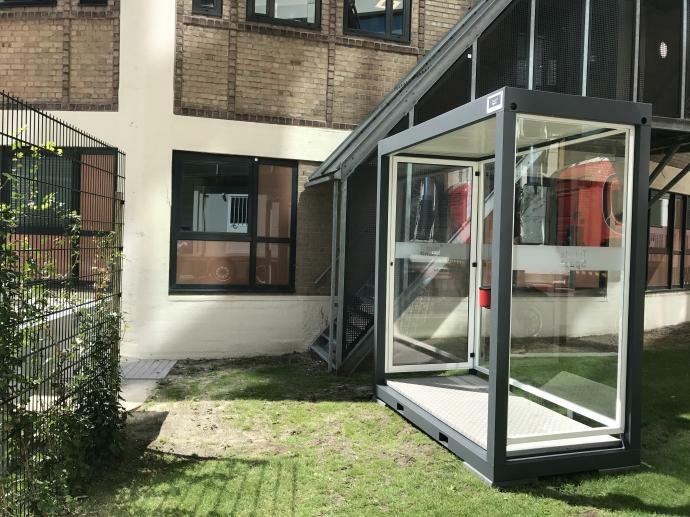 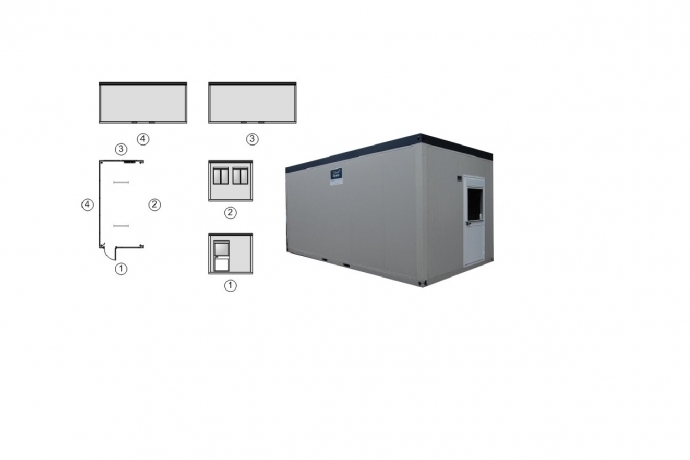 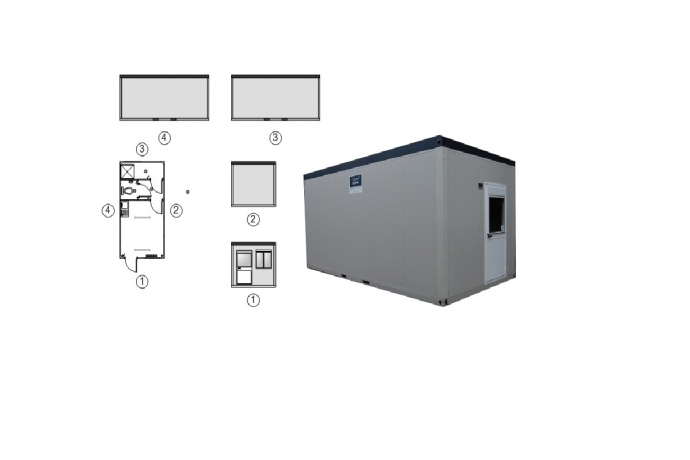 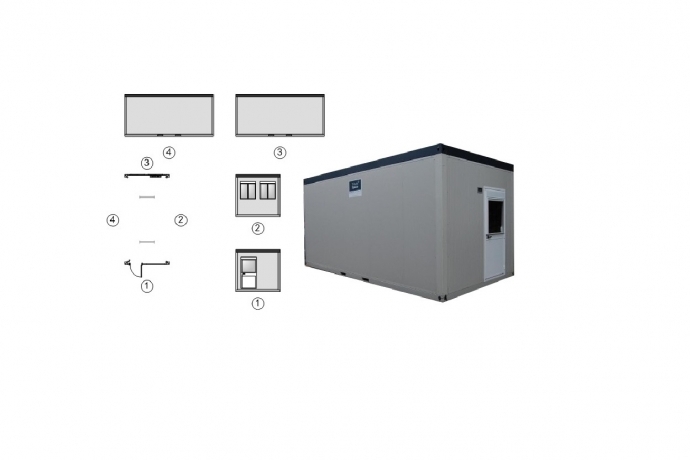 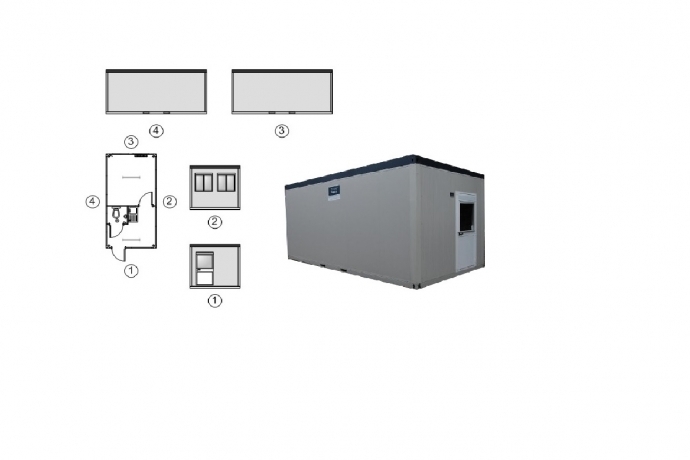 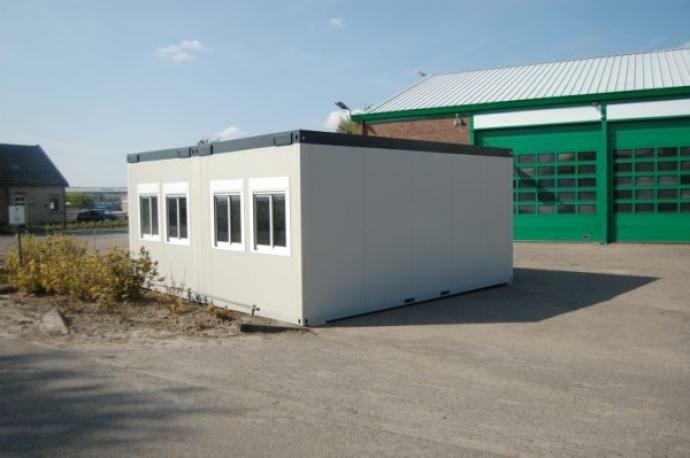 The unit TS-140 is a detached cabin which is switchable and so can also be used in buildings. 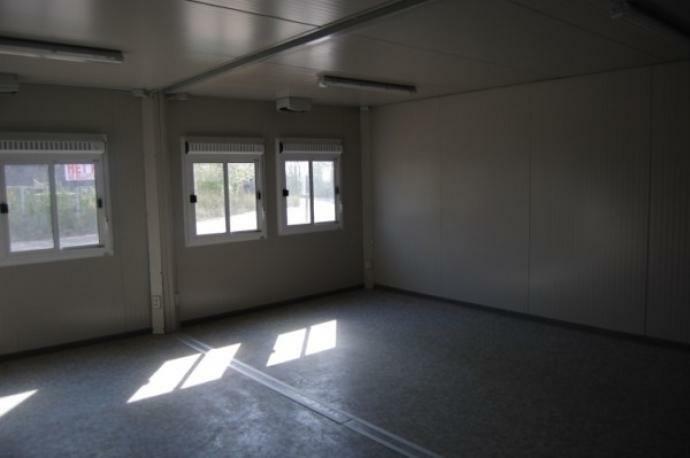 The unit is equipped with a double roof construction, cool in summer and in winter a comfortable indoor climate. 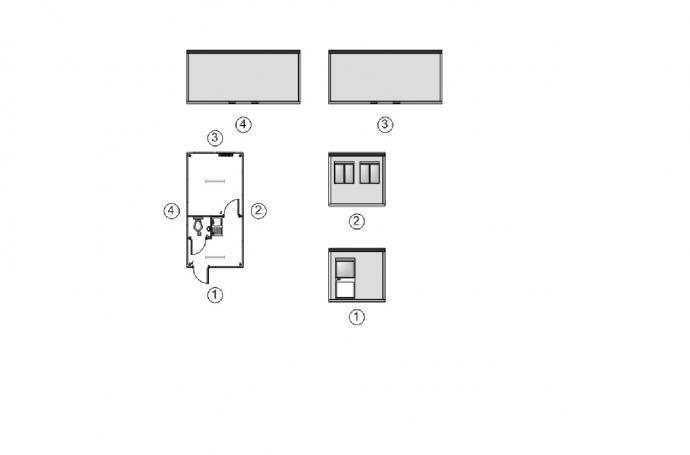 Each unit has, and that is unique, eight electricity sockets (two in each corner). 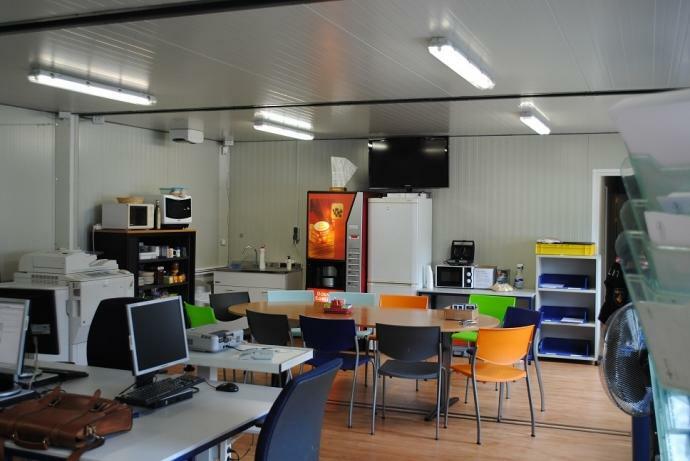 The heating is electrically managed, as well as the lighting. 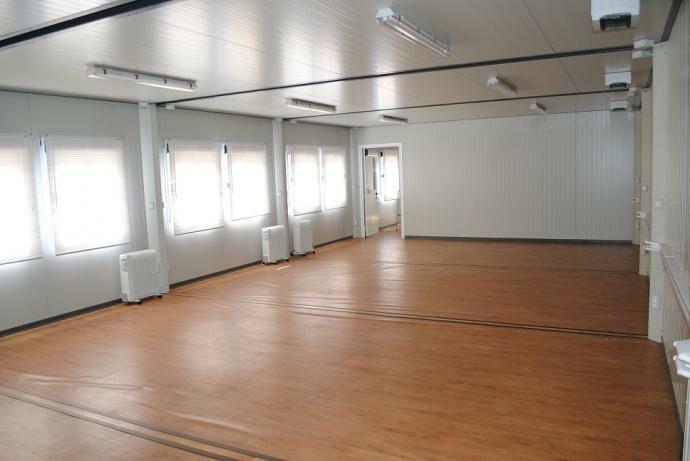 The floor is finished with a smooth vinyl (tarket) layer. 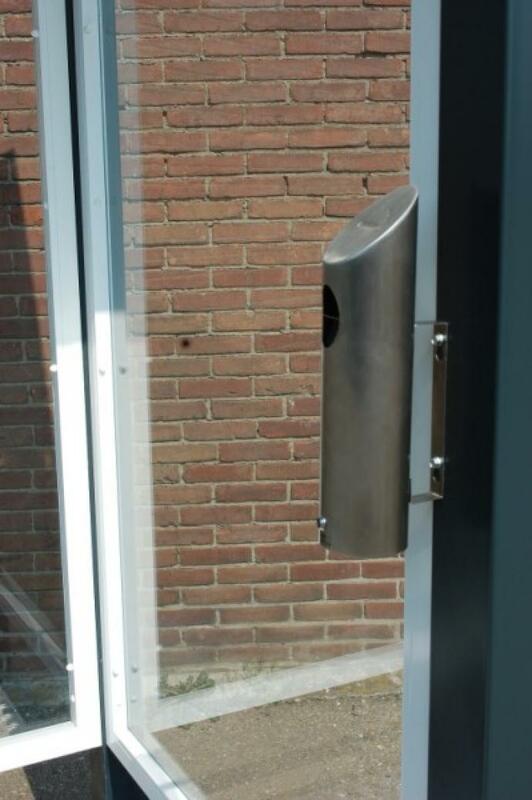 Both windows and door are fitted with lockable aluminum shutters, operated from the inside by a roller system. 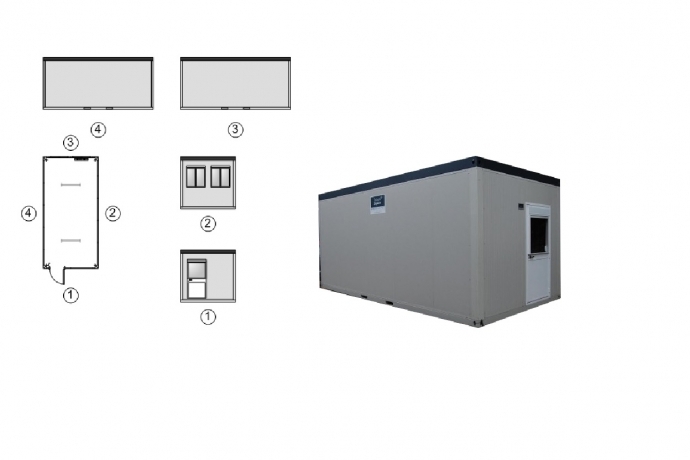 The unit TS-130 is a detached cabin which is switchable and so can also be used in buildings. 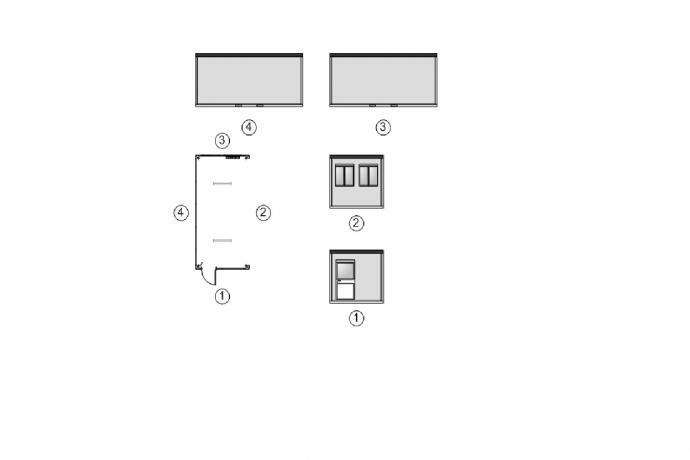 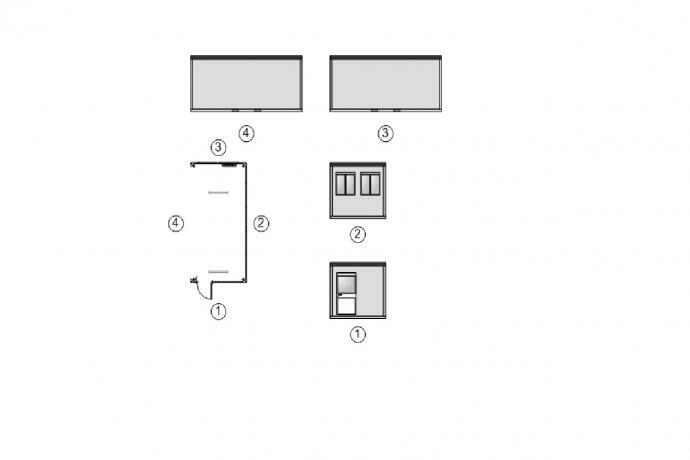 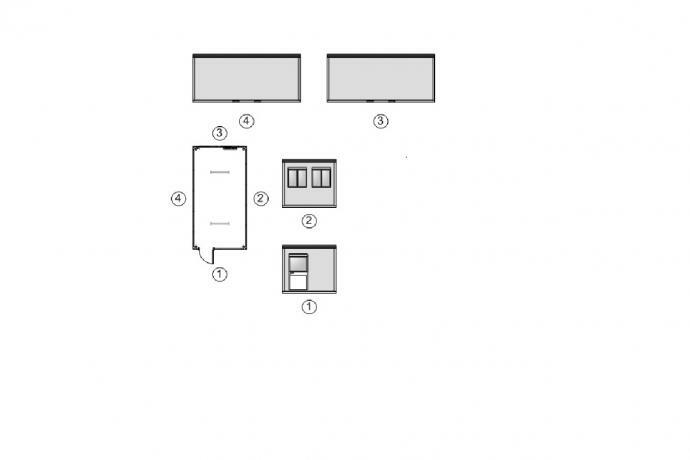 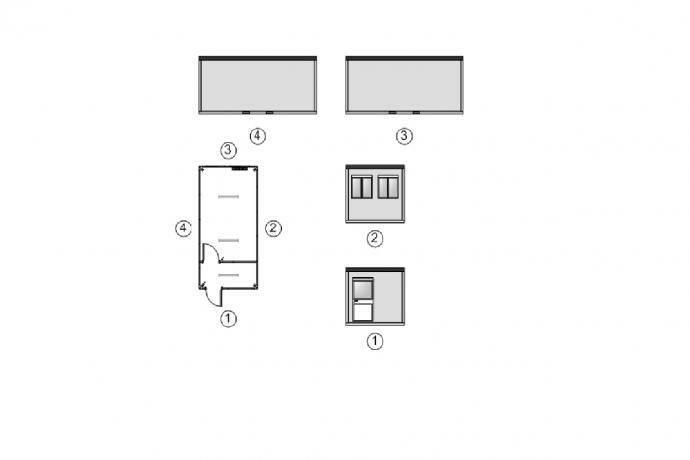 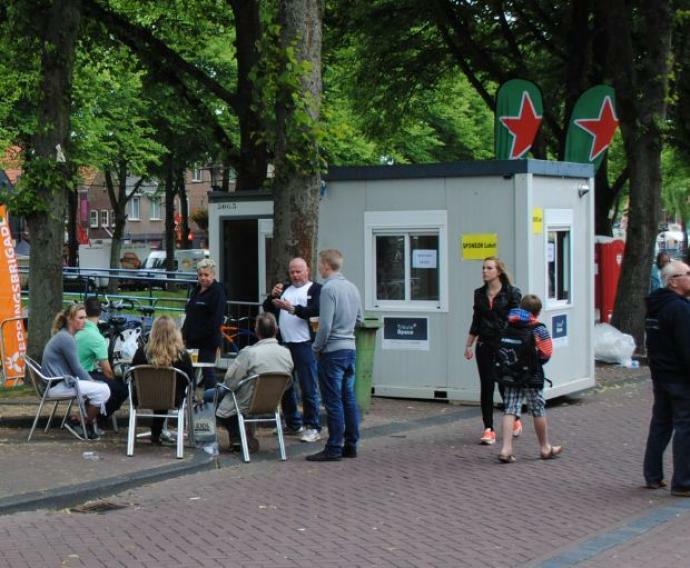 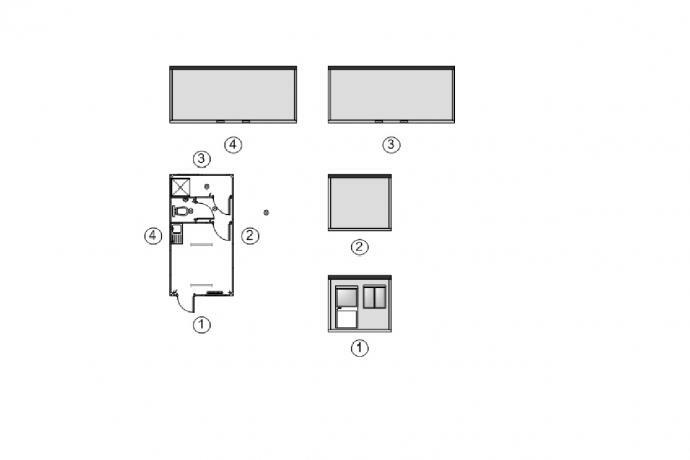 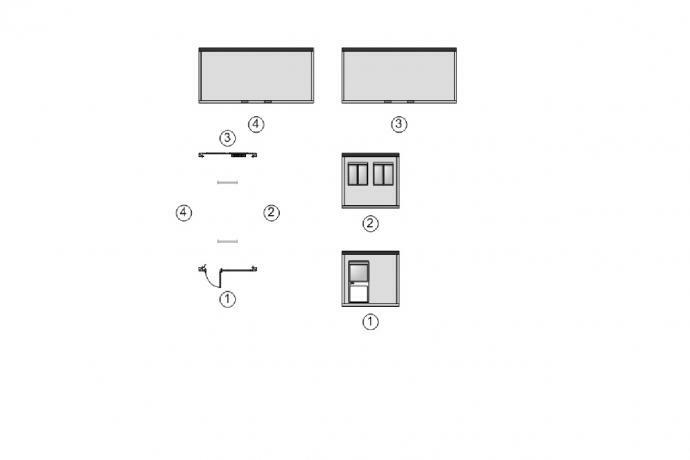 Dimensions 6x3m, with toilet and kitchenette with boiler. 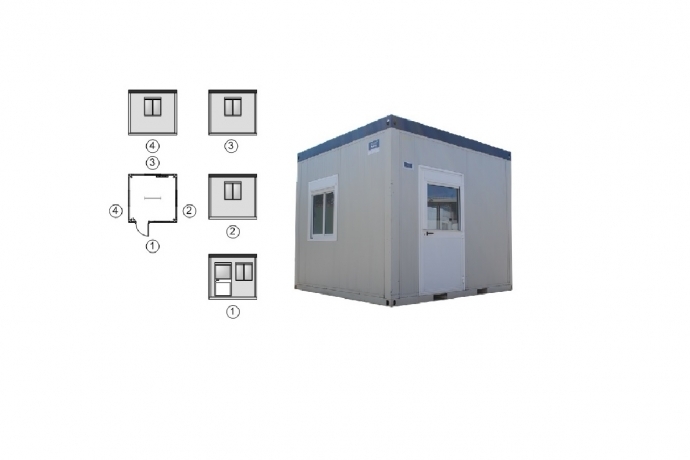 The unit TS-147 is a detached cabin which is switchable and so can also be used in buildings. 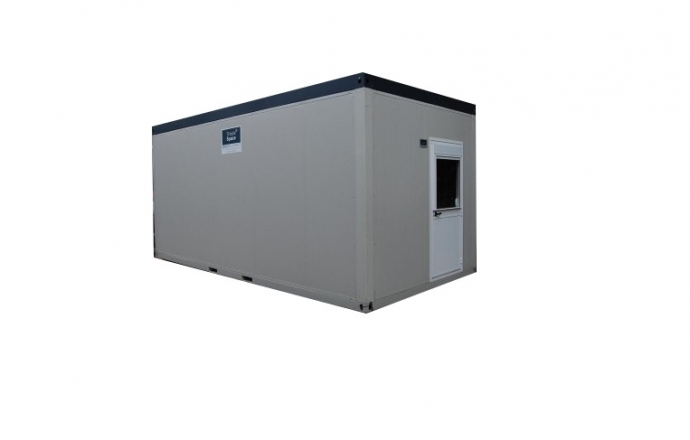 The unit TS-150 is a detached cabin. 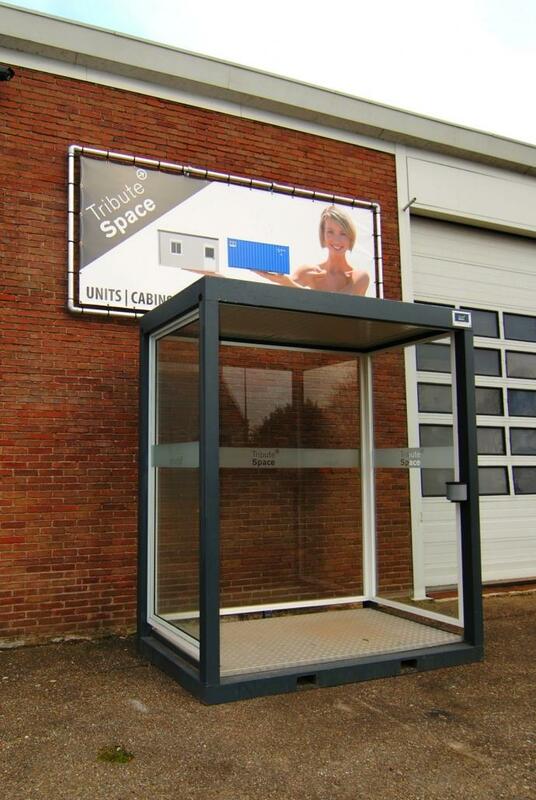 The unit TS-170 is a detached cabin. 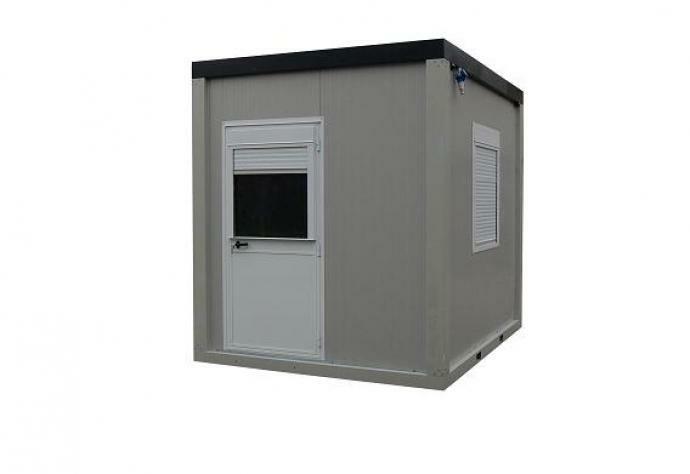 The unit TS-160 is a detached cabin. 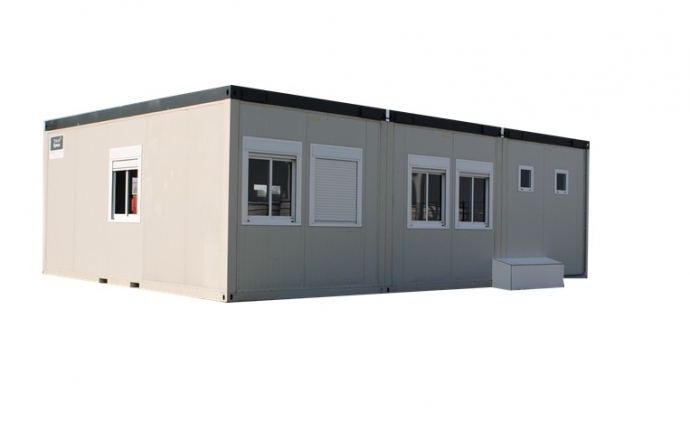 The unit TS-180 is a detached cabin which is switchable and so can also be used in buildings. 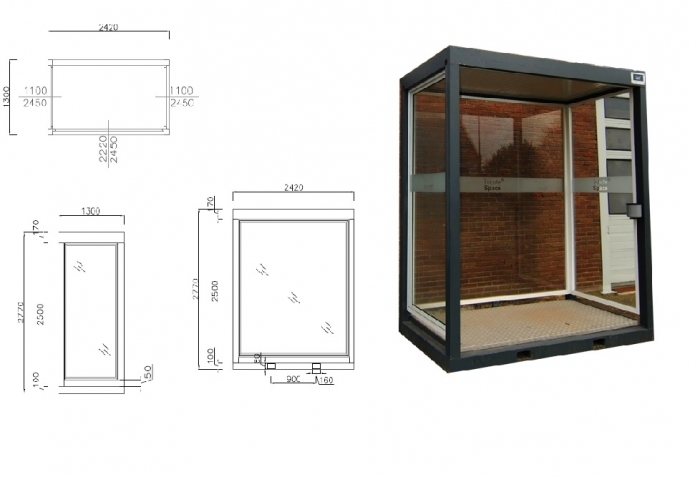 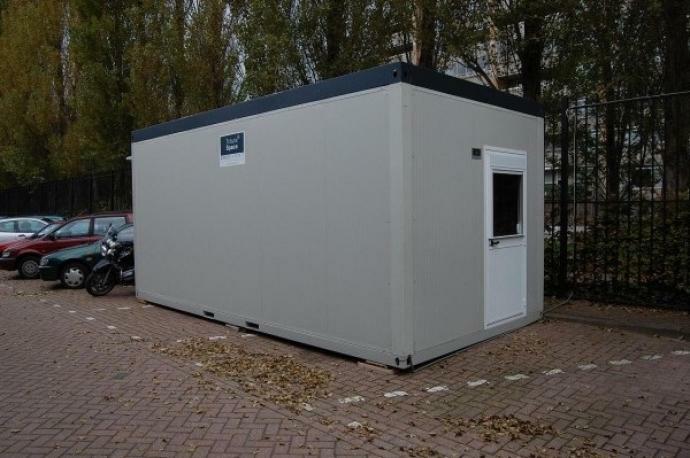 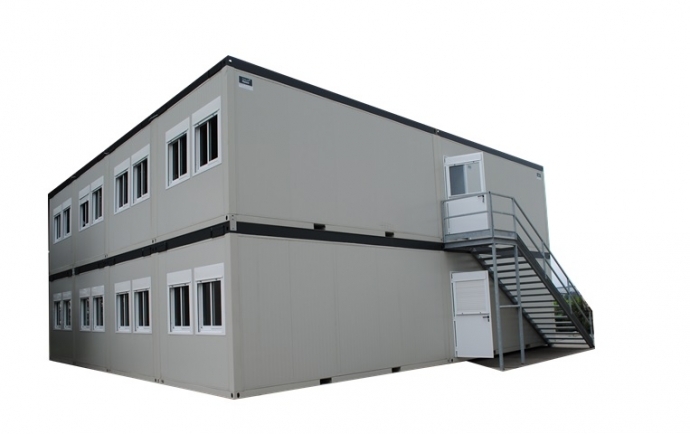 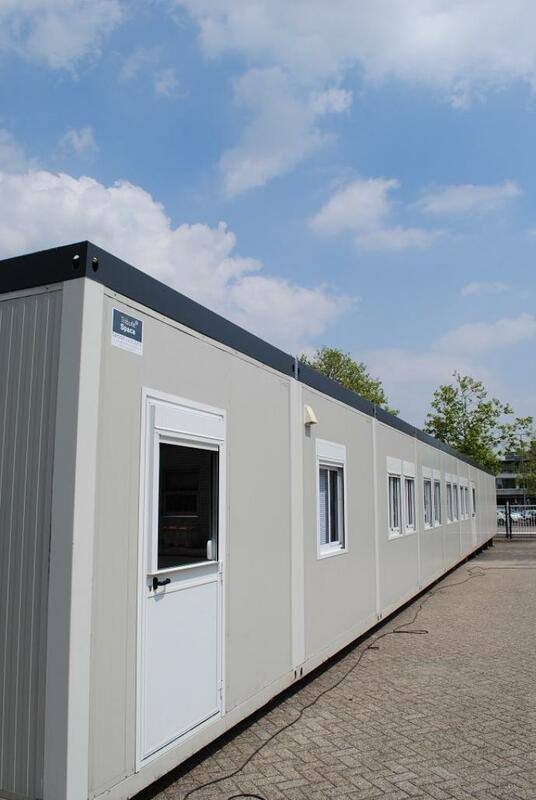 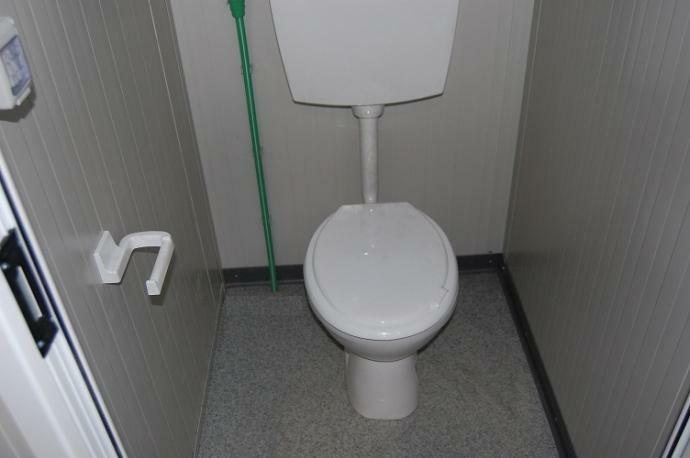 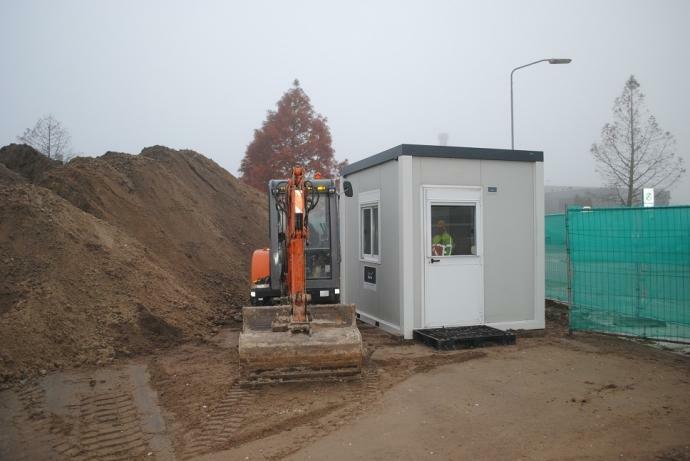 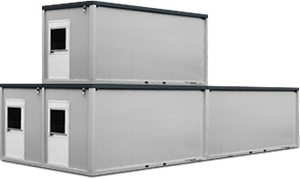 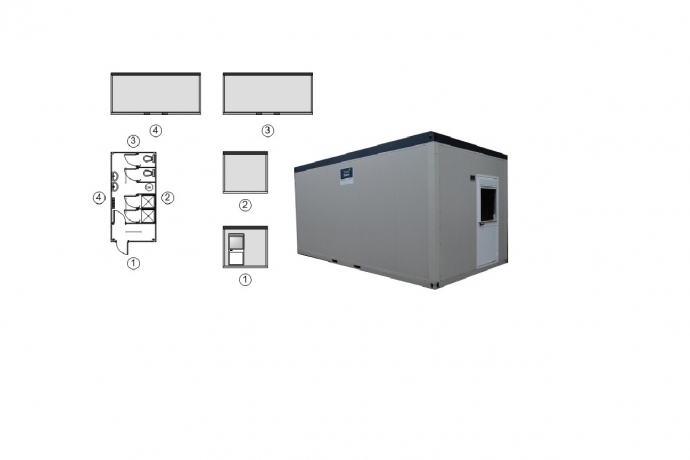 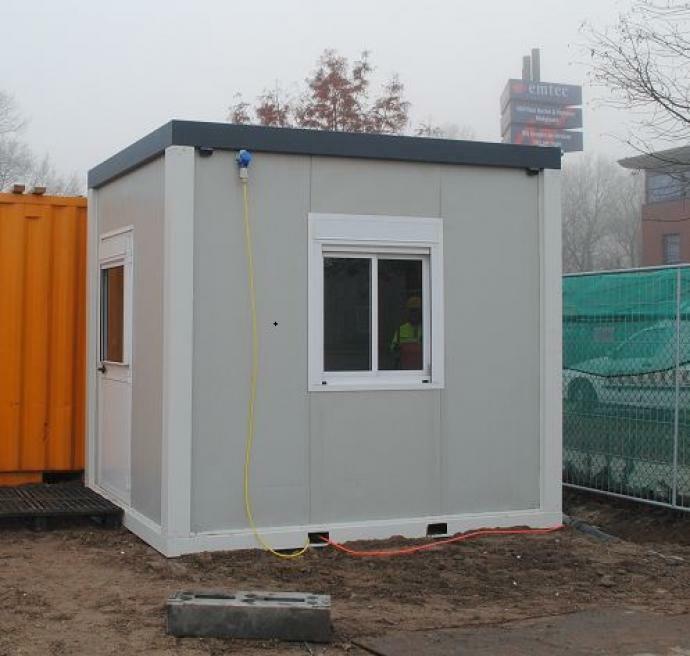 The unit TS-270 is a detached cabin which is switchable and so can also be used in buildings. 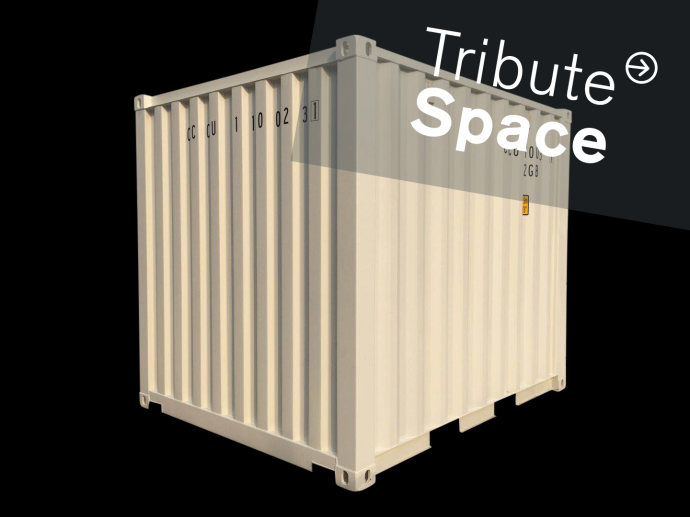 The storage container TS-300 is offered in two different types, containers produced for the use of storage, and containers produced under the framework of ISO and carried out in Corte steel. 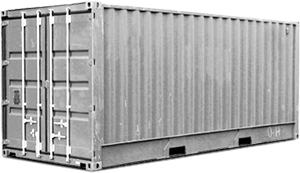 The dimensions of a standard 8 ft container are 2,4 x 2,4m. 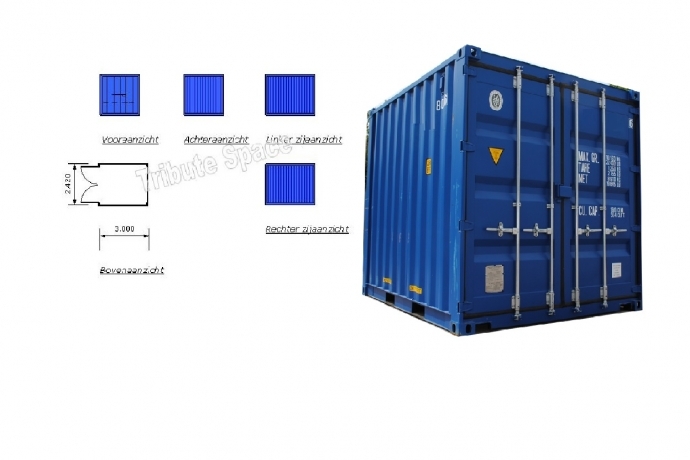 If requested, the containers can be delivered with a lock. 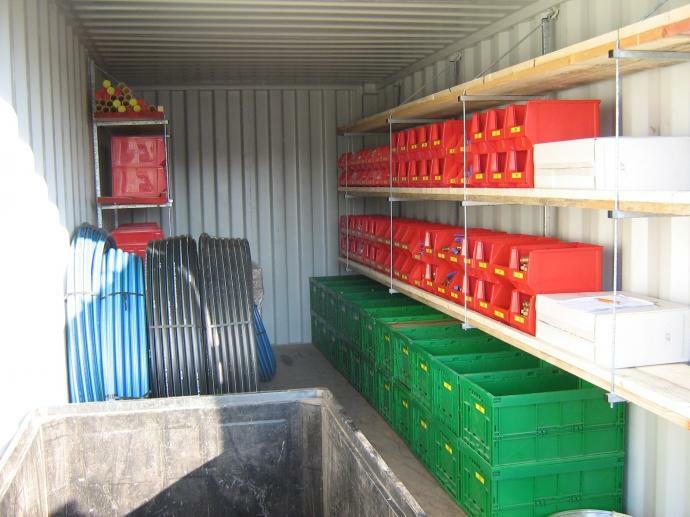 Optionally, we can execute the container with an unique storage system (see www.containerbrackets.com) and electric lighting. 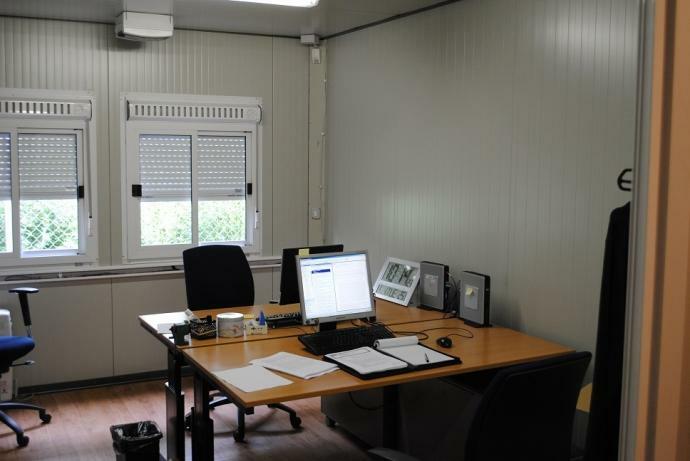 Should you have any further requirements please do not hesitate to contact us. 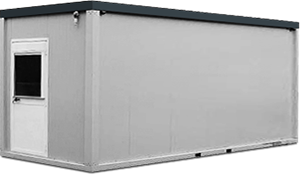 The storage container TS-310 is offered in two different types, containers produced for the use of storage, and containers produced under the framework of ISO and carried out in Corte steel. 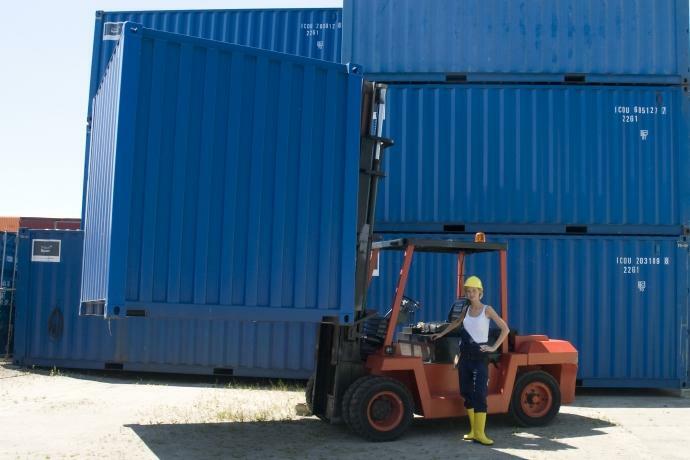 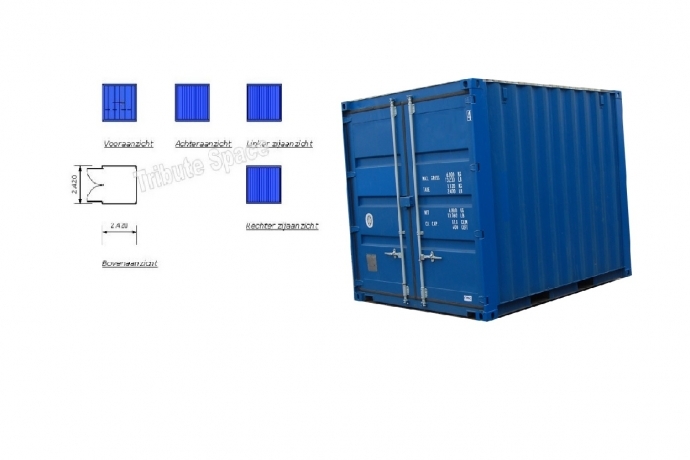 The dimensions of a standard 10 ft container are 3 x 2,4m. 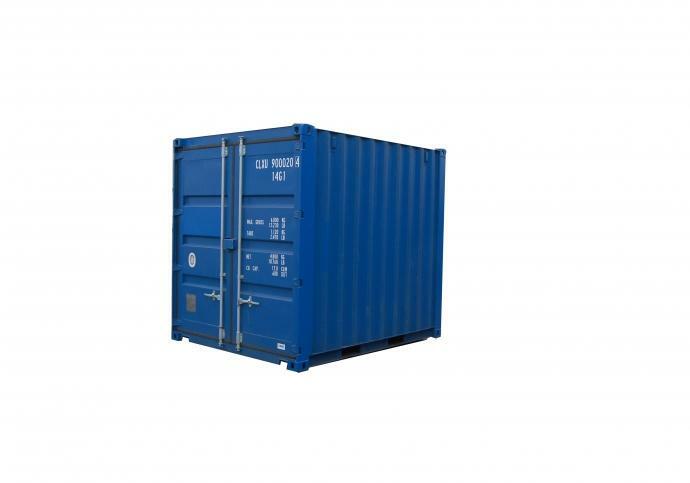 The storage container TS-320 is offered in two different types, containers produced for the use of storage, and containers produced under the framework of ISO and carried out in Corte steel. 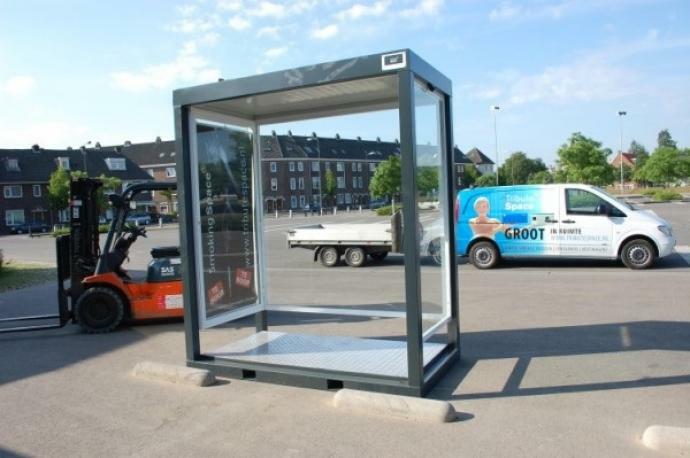 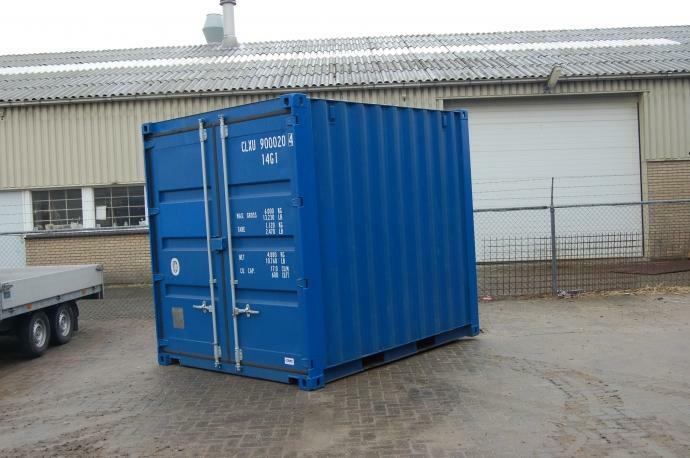 The dimensions of a standard 20 ft container are 6 x 2,4m.